What is boho home decor? If you’re partial to mixing prints and colors in new, exciting ways, it’s a trend you might want to take for a spin. Boho decor, which draws its name from bohemianism, is an open-minded approach to interior design. 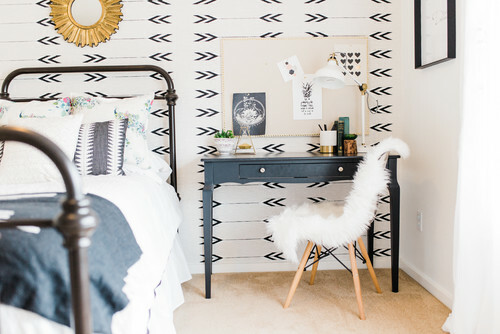 It’s all about embracing an eclectic and informal mishmash of patterns and textures. 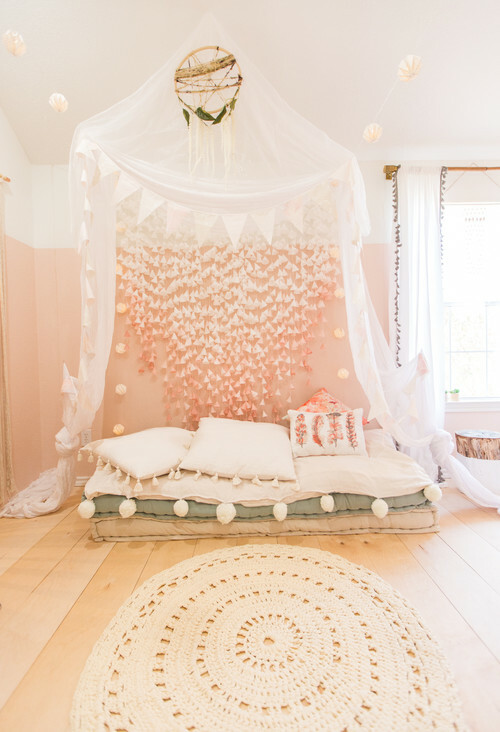 Boho decor is bold, free-spirited, and adventurous, says Lotta Lundaas of Norse Interiors. Think design that is inspired by decor you could have seen in a home during the hippie movement of the 1960s and ’70s. Although it’s named for Bohemia, in the historic area around today’s Czech Republic in Eastern Europe, the design trend takes its cues from a relaxed style that originated in France after the French Revolution, Lundaas says. The aesthetic eventually jumped over the ocean to the United States, growing in popularity in both home decor and fashion in the ’60s and ’70s. 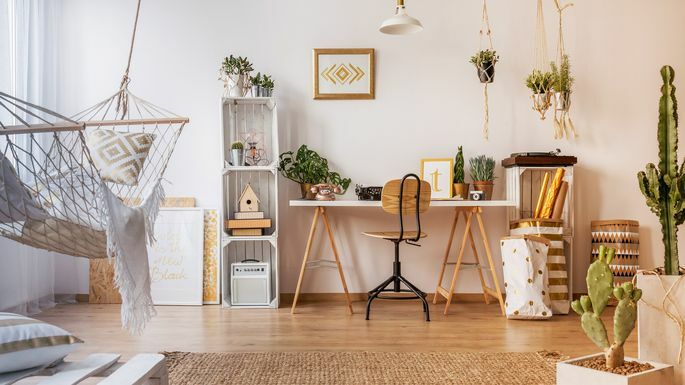 It’s made a comeback largely because it allows you to design your home around your personal tastes, rather than trying to make the latest trend or hot new look fit in your home, says Liat Tzoubari, co-founder and CEO of Sevensmith, an ethical home decor brand. “Boho allows you to express your inner self and use pieces and decor that you feel reflect your personality,” Tzoubari says. That said, your formal dining room isn’t going to be the best place to showcase your boho point of view. “Family rooms and bedrooms are more casual spaces where it is appropriate to incorporate this style, and you can have more flexibility with a relaxed look,” Saghian says. 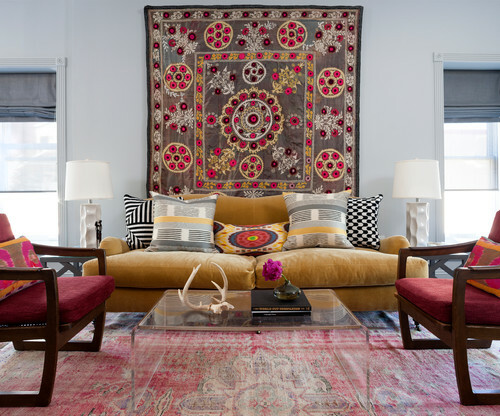 Whether it’s a tapestry on the wall or rugs on the floor, textiles are an easy way to start introducing a boho sensibility. 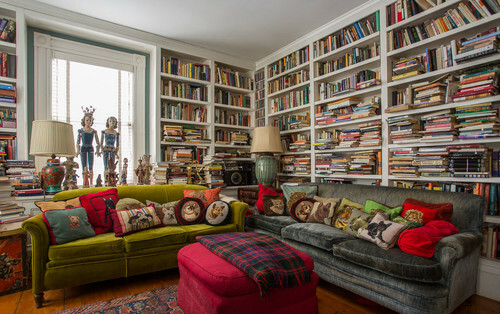 Maybe you found a set of pillows in an exotic print on a trip abroad or at the flea market. “A tribal rug with modern furniture is also a great way to add a layer of warmth and color as well,” Friedes says. Take that, Marie Kondo! If you’re an organization maven or favor a stark, clean look to your home, boho decor probably isn’t for you. A home that’s truly boho can certainly be clean, but you’re bound to see mismatching frames on the walls and furniture set at odd angles. If you’re a world traveler, boho design is the perfect way to let your home suggest your taste for adventure.